This product can be divided into several units, such as single tank, double tank, three tanks, four tanks, five tanks and six tanks, etc. 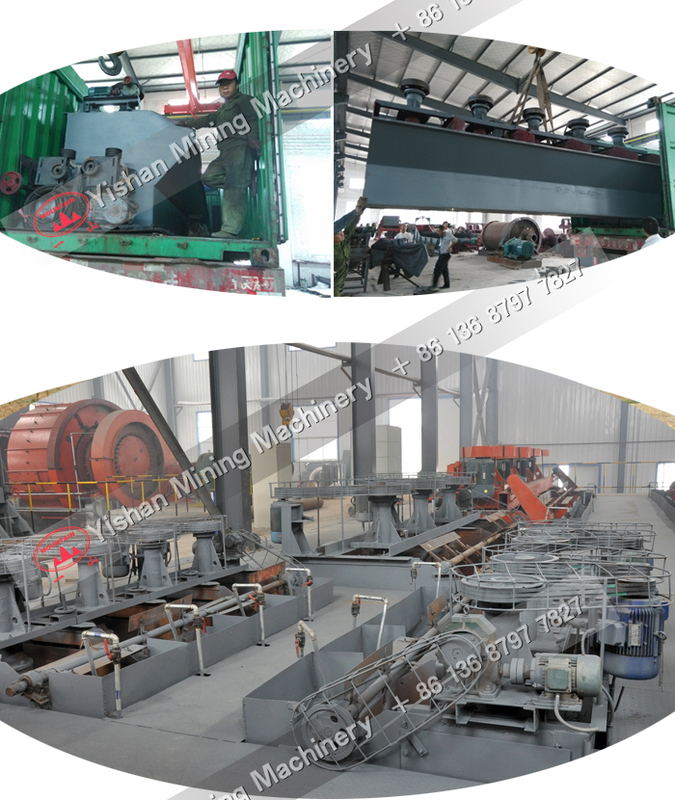 Since this product has no ability of imbibing the ore pulp and air spontaneously, the flow of ore pulp needs terrace arrangement, and the return of foams depends on the foam pump. 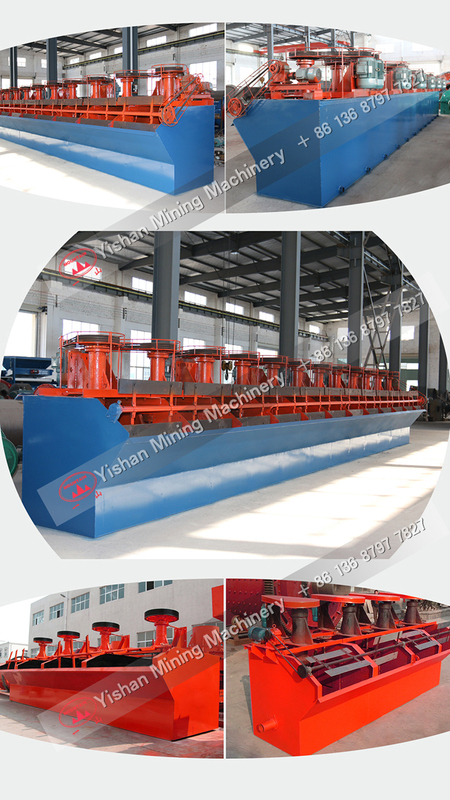 Flotation Machine is applicable for the separation of ferrous and non-ferrous metal, as well as the separation of non-metals, such as coal, fluorite and talc. 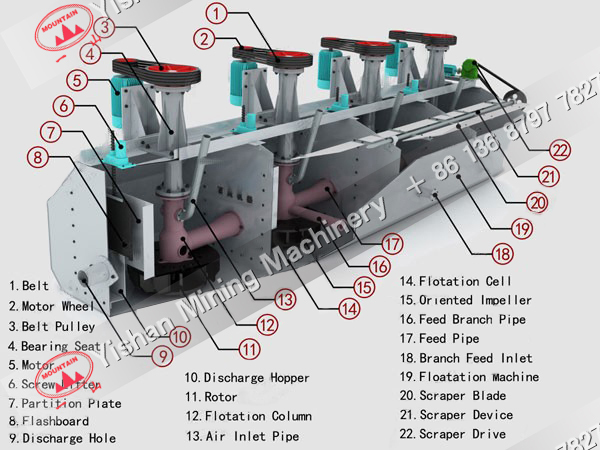 The main shaft of pneumatic flotation machine BS-K flotation machine is hung at one side of the frame. With a light structure, it's easy to install the bearing body with a good perpendicularity. With cone-shaped cross section of the impeller and radiation shaped stator, the machine is featured with wear resistance, long service life and powerful agitating force, U-shaped tank reduces the ore accumulated at the bottom of the tank. With light main shaft parts and the stator installed at the bottom of the tank, it's easy to install them. With small installed power, the machine is energy saving. With compressed air filled in, air bubbles disperse uniformly and the foam is stale. Thus, the suspension of mineral grains is good with a high recovery rate. Negative pressure is formed from centrifugal effect through the rotation of impeller driven by the V-belt of the motor, which on the one hand intakes sufficient air to mix with the ore pulp, and on the other hand, agitates the ore pulp and mixes the pulp with the chemical reagent; In the meanwhile, makes the froth thin, keep the minerals adhering to the froth and float to the surface of ore pulp before producing mineralized froth. Adjust the height of flashboard, control the fluid level, and the scraper will take our the useful froth.